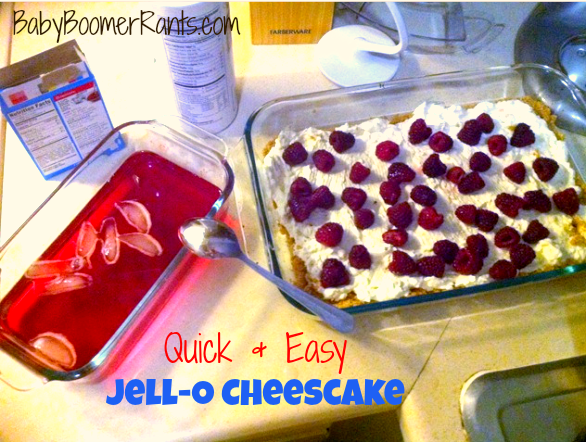 You are here: Home / Recipes / Cake Recipes / Quick And Easy Jell-O Cheesecake! 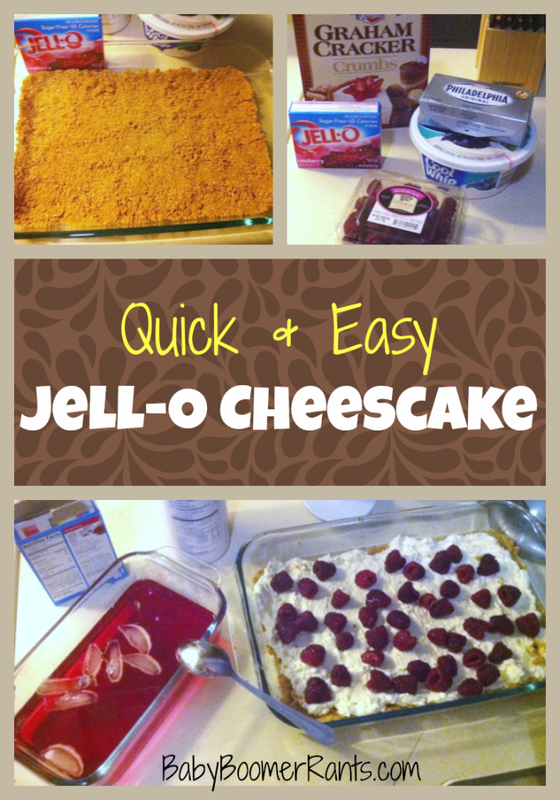 My friend Michaela wanted to share her quick and easy Jell-O Cheesecake with us today! It looks great and she says her family loves it! I will have to figure out and make a sugar free version so I can try it! 🙂 Here’s her recipe: I again have family coming to town and made this fun recipe that reminds me of cheesecake without all the hassle! What you will need: – Graham cracker crumbs ( enough to cover the bottom of a 9×13 pan) – Any flavor of Jell-O (needs to be the big packet) – 1 bar of cream cheese – 1 tub of cool whip – Fruit that compliments your Jell-O flavor Step 1: Prepare the graham cracker crumbs as described on the box. Step 2: Mix the cream cheese and cool whip in a large bowl. You can add a bit of sugar if you want extra sweetness! Step 3: Mix Jell-O packet using the quick set instructions. Step 4: Layer the cream cheese/cool whip mixture with the fruit on top. Step 5: Pour Jell-O mixture on top and let refrigerate for 4 hours or until the Jell-O is set. Once that is done, you can cut into squares and enjoy! I love this because it is great for times when you need a quick treat to share at home or take with you and it tastes like cheesecake!